Exercise FINN GLACIER was a 152 (North Irish) Regiment Type 3 mountaineering expedition to Chamonix, France, 21 – 28 Aug 18. 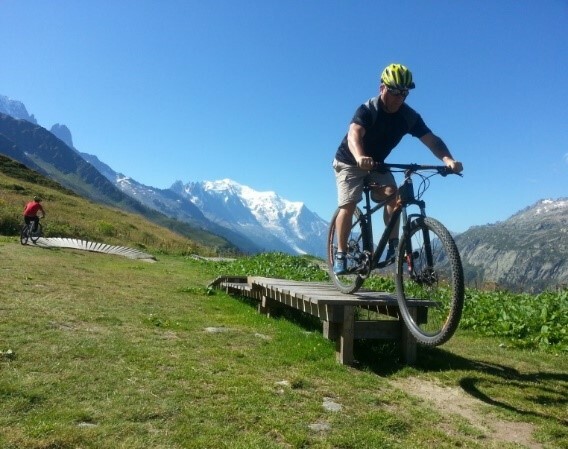 Activities included a two day Alpine Mountaineering expedition up into the Mer de Glace glacier, Alpine Trekking on both sides of the Chamonix Valley, Rock Climbing at Les Gaillands crags, Mountain Biking and White Water Rafting on the L’Arve River. After a day’s acclimatisation walk commencing first thing on the first day, the adventure up into the Mont Blanc area started early on Day 2 with our local mountain guides leading the way from the valley bottom. The initial trek to the glacier was challenging physically due to both the altitude and the terrain of the French Alps. When on the Mer de Glace glacier (meaning ‘Sea of Ice’) we changed into our ice climbing boots and commenced our alpine ascent to the Refuge de Requin (Hut) at 2516 metres above sea level, stopping on the way to conduct crampon drills and ice climbing. 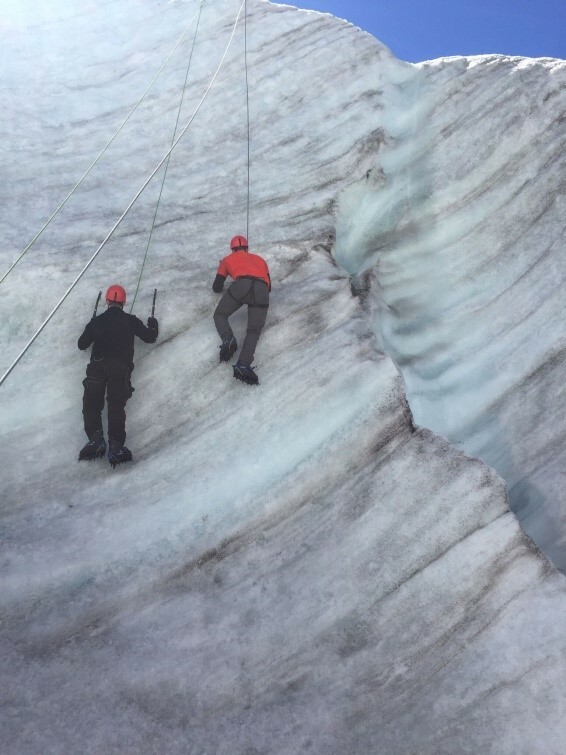 The crampons and ice axe experience provided quite a buzz as it seemed the team appeared to defy gravity, ascending the ice walls that were carved out over centuries of glacial river flow! After leaving our ice playground and several kilometres later, all that stood between the group and the refuge was a maze of open crevasses and a 300m vertical ascent by very precarious looking iron ladders. 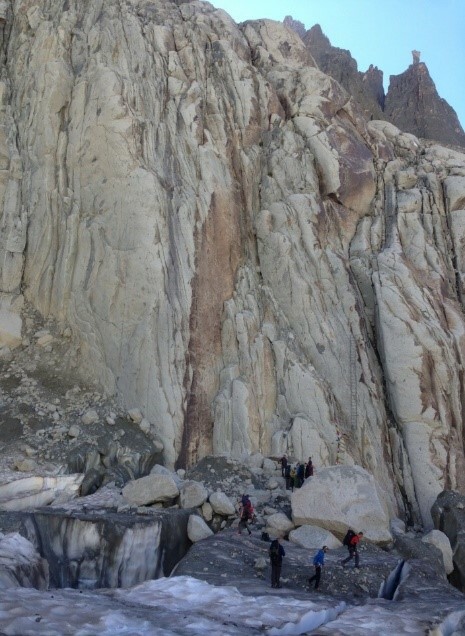 It was the ladders that proved to be the most challenging part of the trip, with many in the team having to dig deep and overcome any fears they may have had. Turning back was simply not an option at this stage as we were a full day’s walk into the valley, so daylight was quickly becoming a constraint. The next day we roped up and pushed onto the top of the glacier, which was to be the highest point of our journey at 2800 meters above sea level. On a flat glacial plateau we were tutored on basic crevasse rescue techniques, which introduced us to some ingenious pieces of mountaineering equipment. We were also given the opportunity to see for ourselves the location of the highest battle fought during World War II, The Battle of Mont Blanc, which took place high above us on the Valley Blanché, between the German Gebergsjäger and French Resistance fighters on 17 Feb 1945. From the top of the Mer de Glace glacier it was a demanding decent down the mountain. 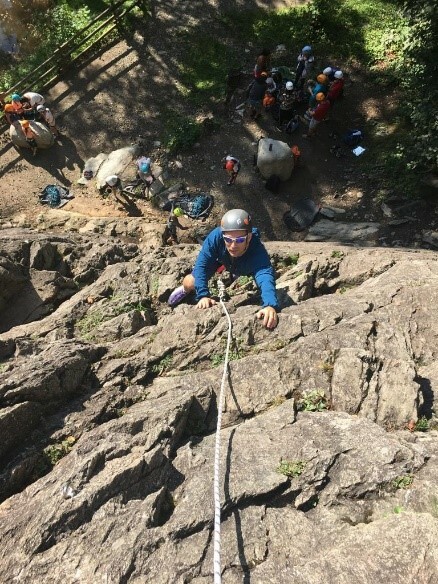 The weather was incredible, the view of the Mont Blanc Massif was awesome and the challenge of ascending the crag was as intimidating as Adventurous Training can get! After lessons on basic climbing and belaying techniques we took each climb head on, rotating in our pairs between climbing and providing the belay safety. It was impressive to see the team overcoming their personal fears, finding that deeper courage and scaling to the top of every climb. Chamonix is renowned for some of the most demanding downhill MTB runs in Europe and it lived up to its reputation. Passing the start gates at the top of the run, it was a hair raising ride to the bottom with few participants avoiding an early crash or two with bumps and scrapes to remember their misjudgements. Arms pumped and adrenalin flowing; gravity and steep ground the perfect combination to accelerate our bikes in an instant to break neck speed. With the Mont Blanc Massif filling the sky line the whole MTB experience in Chamonix was awesome! Suited in wet suits and gear, the fear and trepidation could be seen in the faces of everyone in the team; had the CO made the right decision to visit on the final days of the package?? 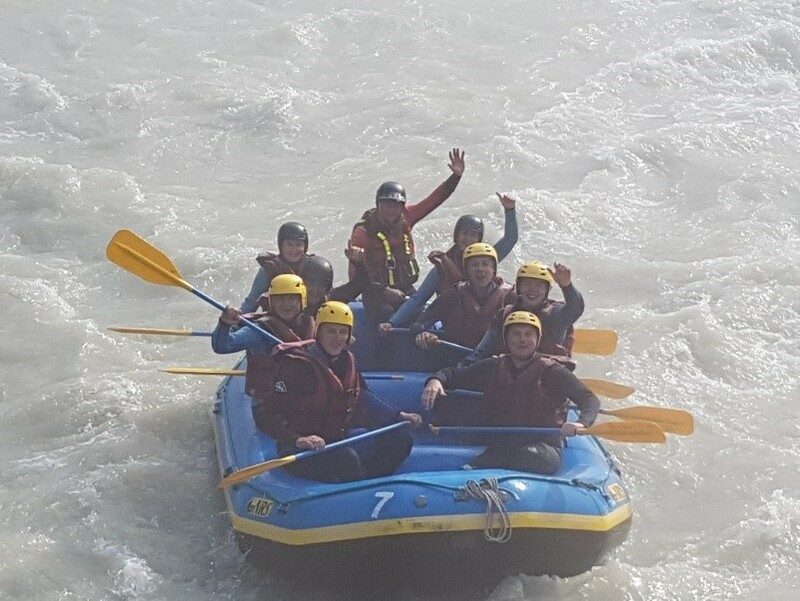 The very thought of tackling white water rapids with our experience level was certain to result in capsizes into the turbulent, grey ice melt L’Arve River. All our fears soon realised as the merciless roar of our first rapids were heard as we crashed into the abyss of churning, freezing ice water. 8 kilometres down a rapid filled river in the French Alps was the prefect end to the perfect day of a perfect week of adventure in Chamonix.